Here’s how the Russia inquiry would have played out, we believe, before the firing of James Comey. Mike Flynn would have been rung up on lobbying charges, probably related to Turkey, not Russia. The government might have found a tax bill to lay against Paul Manafort related to decade-old payments from a Russian oligarch. And surely Carter Page jaywalked or double-parked or used an expired MetroCard on his way to a meeting about some business deal that would have violated sanctions if it had any chance of coming to fruition. Mr. Comey was an imperfect FBI chief. His political hypervisibility alone made him a liability to the agency he loved. But as even President Trump seemed to recognize during his NBC interview on Thursday, Mr. Comey was also the president’s best bet for bringing the Russia investigation to an expeditious end in a way that would relieve Mr. Trump of the main charge, supported by no evidence, that his campaign colluded with Russia. This charge, let’s remember, first entered the public domain in a big way from the mouth of Clinton campaign chief John Podesta, seeking to distract from his own crass error in letting his email be hacked. Then Harry Reid tried to spring an October surprise by releasing a letter to the FBI that made reference to claims circulated by retired British agent Christopher Steele, author of a notorious opposition research file on Mr. Trump. A word on opposition research: It usually consists of public records, press accounts, documented personal history. When a researcher like Mr. Steele makes clear he wants only the most sensational, undocumented tall tales, it’s not surprising that his so-called sources oblige him with tall tales. As many Americans have come to understand, “wiretapping” nowadays means sifting through already-collected raw communications data stored in an NSA computer. Yet though the Steele file has been in government hands since last summer, no corroboration seems to have been forthcoming. That Vladimir Putin disliked Hillary Clinton was not Mr. Trump’s doing. That Russian agents likely played a role in stealing Democratic emails was not his doing either. And who benefited electorally is clear only through a generous helping of the hindsight fallacy. Hillary lost, so of course it helped Trump—this is the lazy reasoning. Yet there is simply no way of knowing how many votes the Trump-Putin miasma cost Mr. Trump. Cowardice and denial now suffuse the Clinton camp, and sadly Mrs. Clinton herself. Don’t kid yourself about this. An incompetent Democratic campaign, with an unattractive candidate, let the GOP steal back an election that Republicans had practically gifted to Democrats by nominating Mr. Trump. Nobody associated with this failure has a future if they can’t rewrite the story as one of Russian collusion. Uh huh. 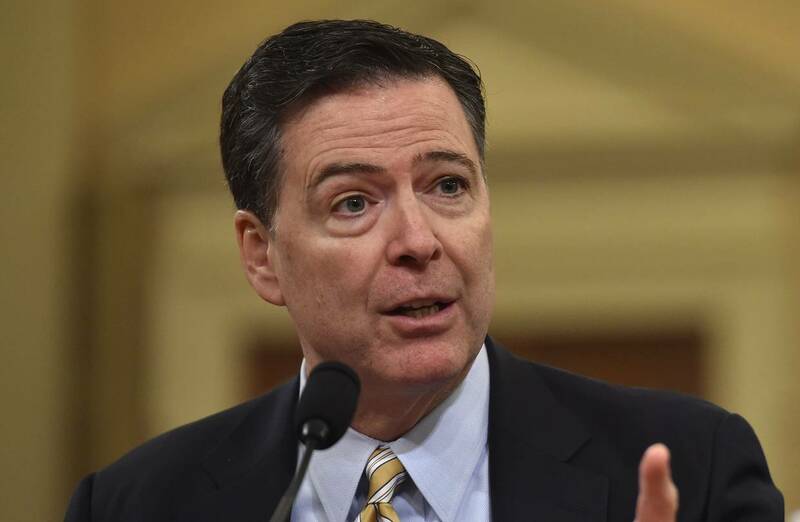 Equally consistent with logic, and a lot more consistent with the evidence, is that Mr. Trump fired Mr. Comey out of frustration with an investigation in which peripheral and incidental connections to Russia were being used to sustain a national conversation about treasonous collusion that never took place. But then a problem with certain Never-Trumpers was that, from early on, they were writing less about Trump than about an idealized version of themselves. Even before the campaign was over, they were issuing anticipatory elegies to themselves as lone, courageous voices on Trump flaws that were apparent to everyone. Worse than self-referential, this emptied the world of interest. Mr. Trump is surely going to be, like every president, a mixed bag. But you have to throw out your whole understanding of the Trump phenomenon, you have to lose sight of the colossal, meaningful accident that landed him in the presidency, to prefer the story of a Kremlin conspiracy. Mr. Trump is right if he thinks many root for his failure simply for the benefit of their own reputations. But he should have more confidence in the ability of the public to discount the circus. His Comey miscalculation (so we believe it was) will be survivable if he wants to survive it. Mr. Trump still exudes a preternatural confidence that he’s going to figure it all out eventually. That’s not the worst trait in a president. And give him credit: At least the Comey firing maintained his penchant for bold action. Mr. Trump’s job now is to put the FBI’s Russia investigation visibly back on track so he can exhibit nonchalance about it and get on with promoting his tax plan.